When and where is check-in? Check in is now on-site from 4-6pm on Fridays. Call 970.363.7149 for late check-in directions, also on-site. Email info@indianpeaks.org for questions. Key cards are programmed to work after 4:00 p.m. the Friday your week starts and will expire the following Friday at 10:00 a.m. If the keycards are used outside these hours, they will not work. These cards provide you with additional security features and are only valid during your stay. Check in time is 4:00 p.m. the Friday your week starts. Check out time is 10:00 a.m. the following Friday. Please respect your fellow owners and observe these times. How can I allow someone else use my week? If you would like to authorize someone else to use your week, you must notify us in advance. Please send an email or mail us all the information about the guest coming in your place. We need as much advance notice as possible. If you have banked your week with an exchange company, you do not need to do anything. The exchange company will provide us with that information. What housekeeping services will I receive during my stay? You will receive one complete trash and towel exchange on Tuesday. Additional housekeeping services are available for a nominal fee. Contact us at 970.363.7149. Laundry facilities are located in the Amenities/Office building. Are rental services available to owners? 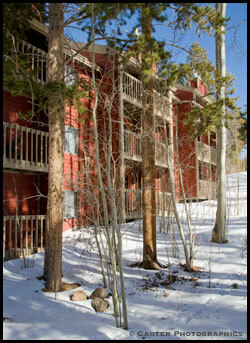 We do offer an Interval Rental Program for Indian Peaks owners. The high seasons for rental are December through March, July, and August. Off-season weeks usually do not rent well. We can try to rent your week for you, however, there is a 60/40 split. We will advertise and take care of everything so you don't have to. If we did get a renter for you we would apply the money to the account to off-set current or future dues. We will not mail a check. 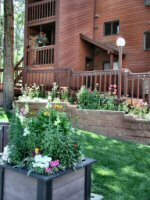 If you will be unable to vacation during your week, email us at info@indianpeaks.org for an Interval Rental Agreement or more information. Click here to download and print a rental agreement now. Contact Highpoint Hospitality with the new owner information. We need to research the interested party to be certain they are not a front for some unsavory LLC or Corporation. Once we determine they are okay and actually PAID YOU for the week, we can either process the deed for you (there is a fee of $250 the paper work and recording) or you can have your attorney draw up the paper work and file at Grand County Courthouse, PO Box 120 Hot Sulphur Springs, CO 80451. You would then need to get a copy to us for our records so we could change account information. NEVER PAY SOMEONE UP FRONT TO SELL YOUR TIMESHARE. SCAMMERS ONLY WANT YOUR MONEY!!!! What is the configuration of beds? All the 2 bedroom units will sleep a maximum of 6 people including one queen bed, two twin beds, and a queen-sized sofa sleeper. 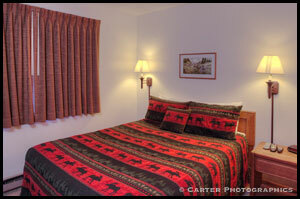 In addition to this bedding, C301, a 3 bedroom unit, has another queen bed and sleeps 8 people maximum. Please do not exceed the maximum capacity. No animals of any kind are allowed on Indian Peaks property. You will be charged a fine of $250 plus $100 a day for every day after warning. Pet boarding is available at Byers Peak Veterinary Clinic in Fraser. Their phone number is 970-726-8384. Boarding is also available at 4 Paws Resort in Granby. Their phone number is 970-531-9293. When will I be billed for dues? You will be billed three times per year for your Association Dues, February 1, June 1, and October 1. Payment is due 30 days from the billing date. Your maintenance fee account for all the weeks you own must be current before you can use your week or bank it with an exchange company. The mailing address for payment is Indian Peaks, PO Box 360, Fraser, CO 80442. Credit cards are also accepted. Click here to pay your dues online with a credit card or paypal account. Indian Peaks is affiliated with RCI and Interval International for domestic and international trades. For II red weeks are 1-16, 21-39, and 46-52, and blue weeks are 16-20 and 40-45. Contact II for additional information at 800-843-8843 or online at www.interval-intl.com. For RCI red dates are May 20-September 30 and November 18-April 8 and blue dates are April 8-May 20 and September 30-November 18. For more info call 800-338-7777 or on-line at www.rci.com. Free Internal trades are available. Visit our Internal Trades section for current trade listings or to request a trade. This option gives you the most opportunity for completing a successful trade. Trades must be done at least two weeks in advance. You can request letters be sent to the owners of one week of which you choose to trade for your week. Am I able to ship skis to the office prior to my arrival? Our area does not have home or business delivery. If you are anticipating receipt of mail via USPS, please make arrangements with the Fraser Post Office. They can be reached at 970-726-5578. We are not able to guarantee regular pickup and delivery of mail or packages for our guests. UPS and FedEx will deliver to the property, but their delivery times can be outside of our regularly scheduled office hours. Be advised that packages may be left outside an unsecured area. We cannot guarantee the security of your packages.